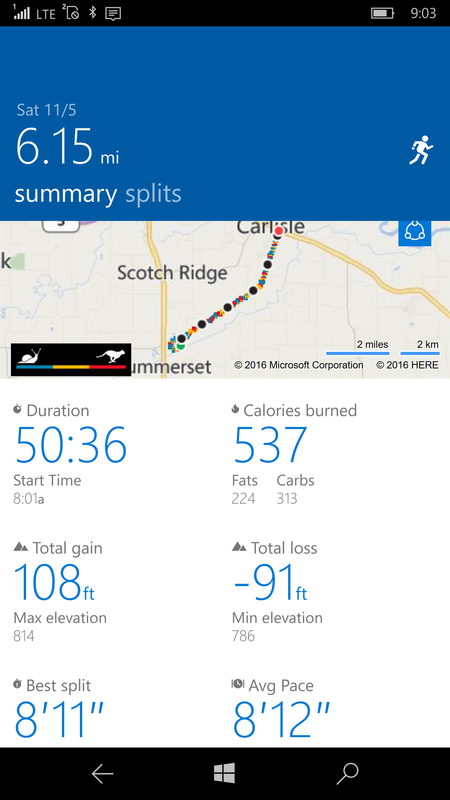 I kept a close eye on my pace and could not believe what was happening, but just kept doing what I was doing. It felt good and I never wavered, I never felt tired. I repeated my chant to myself in my head over and over again. “You are prepared. You are trained. 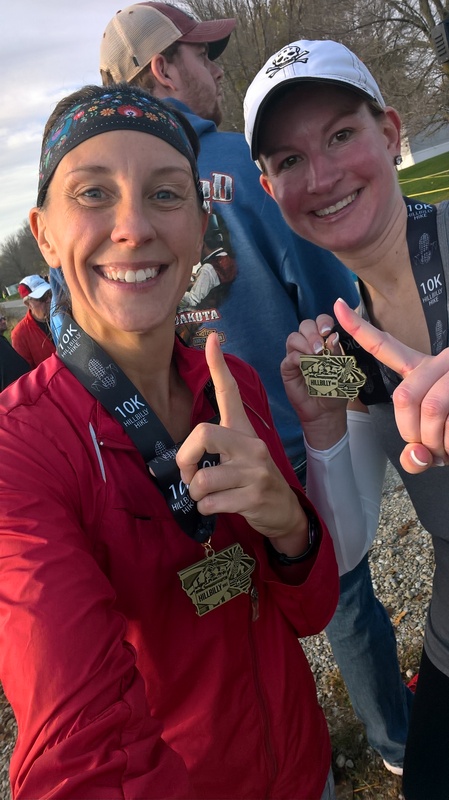 You are ready.” I passed more people than passed me, which is always a goal of mine, and… I won my age division and came in 8th of all women. Right now, I don’t know how many women finished, but 8th is good. And winning?!?! I’ve never won my division! I was so excited to tell my husband!!! 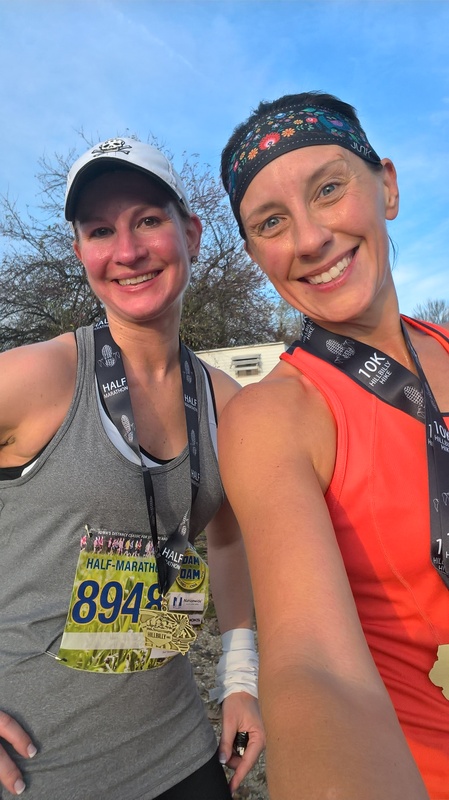 I’ve been a runner now for several years, broken up by one very long hiatus as we worked on having kids (multi-year project) and then nursing them. That hiatus brought on ligament pain in my feet that needed to be addressed before I could run again. 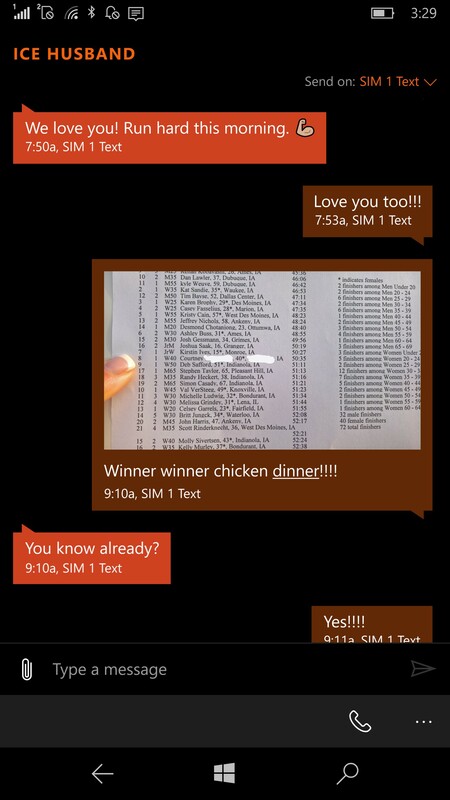 My husband and I were avid recreational runners between spring 2007 and summer 2009. We started up a running club and had nearly 100 members ready to run races any given weekend, and in the summers, we were running races probably 3 weekends a month. It was a lot of fun, but I had lots of shin problems. I was told that shin problems are a part of the game and to power through. 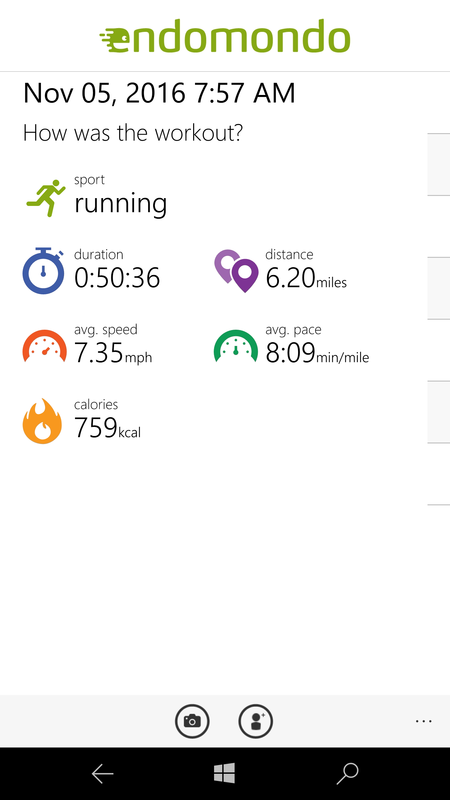 So… power through I did. I have always known that I’m a heal striker with control problems – I overpronate when I run. I’ve been a heal striker since elementary school and I remember my PE teachers telling me to, “run on your toes!” That never made any sense to me. I was never good at running because of my heal striking so I wrote the sport off. Looking back, that makes me sad. I’m not sure if I’ve mentioned it here, buy my regular shoe size is 11.5 AAA – very narrow. Both of my parents have narrow feet and my grandma was a AAAA in width. I’ve always worn very expensive shoes because, well, cheap shoes aren’t made in my size. My older sister cost my parents lots of money with her musical talent, my little sister cost them lots of money with her love of horses, and I cost them lots of money with my specialty shoe size. Ha! 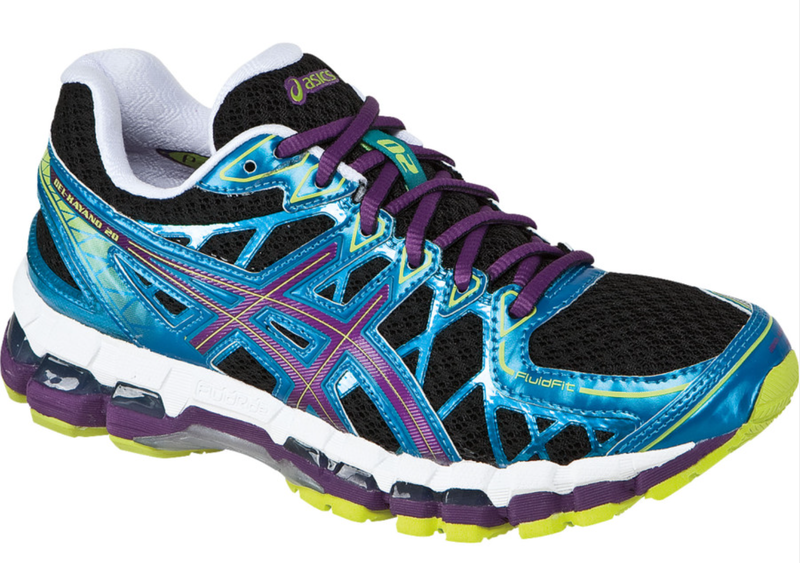 When it came time to buy running shoes in 2007, the only brand that made shoes in my size was Asics. I was sized and told that I needed an entire size larger to leave room for my second toes which are both longer than their respective big toes – so I needed a 12.5 narrow. 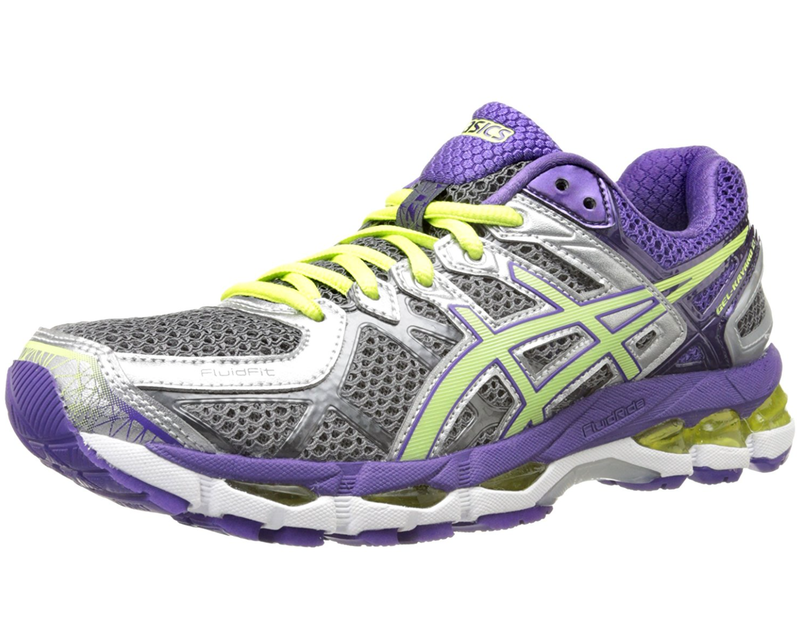 Asics shoes are narrow in general, and their narrow shoes are very narrow – just what I needed. I got the GT 2000’s (because I wasn’t paying $160 for the gel kayanos) and was on my way. My shins always gave me trouble. After my running hiatus, my feet were very different. I would wake up in the night or in the morning and step onto my relaxed feet and pain would pulse on the tops of my feet for the first 20 or so steps. ** It hurt a lot and I was concerned that something was seriously wrong. Wanting to start off round 2 of my running career correctly, I bit the bullet and bought the Asics Gel Kayano 20’s on clearance for $90 in September, 2014. They were so ugly, but my only option. I LOVED that shoe! It was like running on a cloud! My control issues were seemingly gone and my shin pain was a thing of the past. I wore those shoes out after 500-600 miles and, of course, they were no longer available in my size when I needed new ones in April 2015. I begrudgingly ordered the newer version of the Kayanos (21) and they just didn’t feel the same. They felt stiffer. I still had no pain at all, they just weren’t as comfortable. This, I thought, was going to be a problem but, again, I had no options. 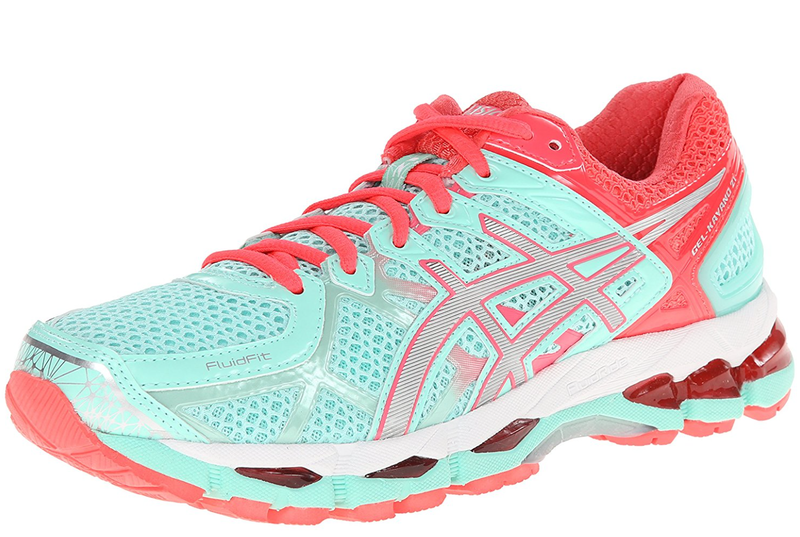 I held onto my ugly Kayano 20’s for the times that I really needed to be pampered and back in my favorite shoe. I would wear the 21’s for all runs until something hurt a bit, then would run in the 20’s a couple of times to get the pain resolved, and then would go back to the 21’s. The shoes did their job and lasted me 6 months before I needed a new pair and aside from them just not feeling right, they were a good shoe. I always keep an eye on my shoe prices because I hate paying $160 for a running shoe, especially given how quickly I burn through them. To this day, I have not spent more than $100 on this shoe, and I’ve bought 7 pair of them over the last 2+ years. When it was time for a new pair in January 2015 (because the price was right), I jumped on it but they didn’t have my size. UGH. I had to order a regular medium width or I’d have to upgrade to the new 22’s for $160. No way. So I got the 21’s in a size 12.5 medium and that’s when I started to worry. The only good thing about buying them in medium width were the color options, but at the time, all they had was sea foam green (the 12.5 narrows only come in ONE color combo per release). I did not dig these shoes. I hated the color but more importantly, I disliked the ride. I am certainly a true narrow and forcing myself into a medium is something I know not to do. However, they weren’t awful so when the price dropped further in April, I bought a second pair (but in that nice purple again) to put up in the closet for later – also 12.5 medium width. Then, in June, the price dropped again so I bought a second pair to put up in storage. I was wearing the green ones with two pair of purple shoes ready to go because you never know if I’ll be able to buy my size when I need them. I wore the sea foam green ones through two half marathons and then moved onto the purple pair in July. By then, I was very used to the ride of the 12.5 mediums and had learned to live with it. I would sometimes go back to my 20’s just for a nice cushy run, but the 21’s in 12.5 medium had definitely turned into my solid shoe. 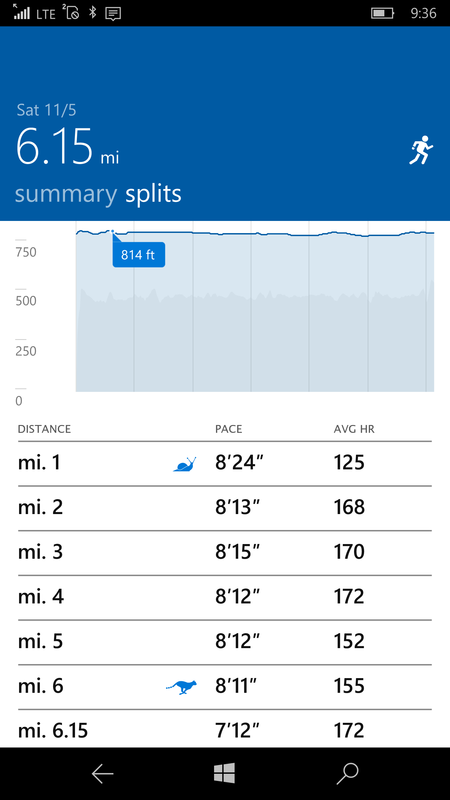 The purple shoe I ushered in in July was very good to me, generating a few PR’s and faster times, but only lasted me 4 months – they were run into the ground. The soles were tearing off and the stitching was coming undone – a sign of true love and use! 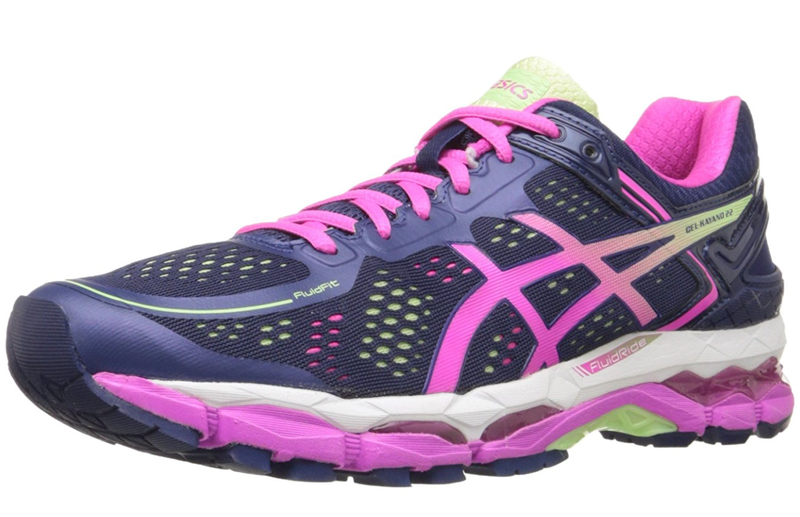 My sister started having plantar fasciitis issues in September and when I recommended the Gel Kayano to her, we saw that the 22’s were on sale for $99. AH!!!!! With a pair of purple 21’s boxed in the closet, waiting for their turn, I secretly had my sister order me a pair of 12.5 NARROW Gel Kayano 22’s (my husband can handle one box of running shoes on the ready, but two sends him over the edge). I’d been told that the 22’s were more like my beloved 20’s, so it was worth it to me to just get them ordered. My sister hung onto them until we were in town this past weekend and I took them out for a maiden run and ….. I am in love! With my current tattered 21’s ready to be tossed in the garage for yard work, and my sea foam green ones with just a bit of life left in them for emergencies (like when my primary shoes are wet), and my 12.5 narrow 21’s in my gym back for treadmill use only… I was more than ready to make these babies my primary shoe! I look back to 2007 and wish I’d bitten the bullet and just bought the Kayanos when I knew I needed them. My shins suffered constantly in the GT 2000’s simply because the GT 2000’s weren’t a cushioned control shoe. It’s no one’s fault but my own – I was being cheap. I used to be of the mind that a shoe can’t make a lot of difference but now, in 2016 with record times, record mileage, and no injuries… well, I know that a shoe can make all the difference. I don’t struggle with form like I used to, I’m not wiggly when I run like I used to be, my heal striking isn’t causing pain, and my shins never scream at me. It’s amazing.